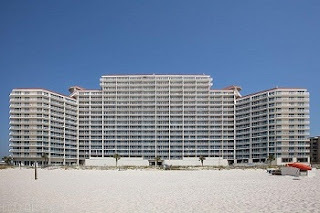 Gulf Coast Home Sales-Rentals: Lighthouse Condo For Sale in Gulf Shores, AL. Lighthouse Condo For Sale in Gulf Shores, AL. 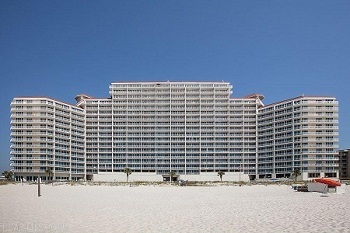 Lighthouse beach-front condominium home for sale in Gulf Shores. Lowest price 3BR/3BA unit in complex at time listed...fantastic Price! Unit 1115 is positioned on the eleventh floor with a large covered balcony overlooking the Gulf of Mexico & Pools; these amazing views inspire Fun activities and visions of relaxing days. Upon entering the unit one is drawn to the Big Gulf view, flowing interior space and well appointed furnishings & finishes. The living area offers plenty of functional space for family and friends while maintaining a cozy atmosphere. The bedrooms are quite large with plenty of storage. The amenities at The Lighthouse are top notch; from the indoor pool to the exercise room to the Gulf front pool, to mention a few. The complex is located just a short walk to restaurants, entertainment and shopping. The unit is currently in a rental program and is a very strong producer. Here is your chance to own a piece of Paradise – come see this condominium today!